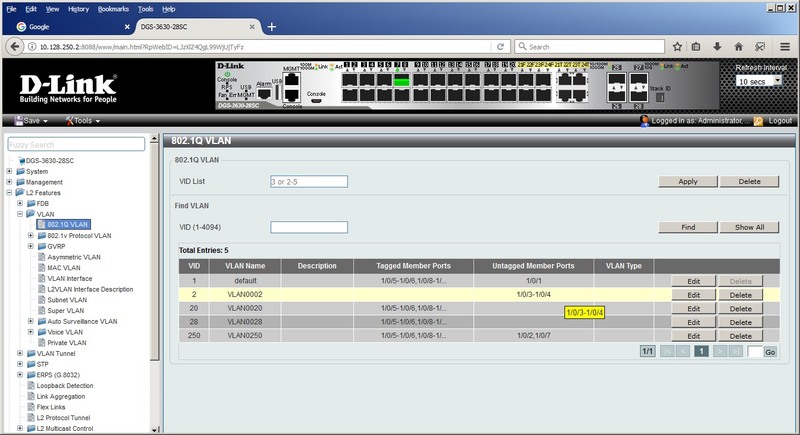 set Link Aggregation with Static mode VLAN be change to 1 and noway to config. I want to use port 3-4 be trunk together as 1 Link. I config port 3-4 to VLAN 2. 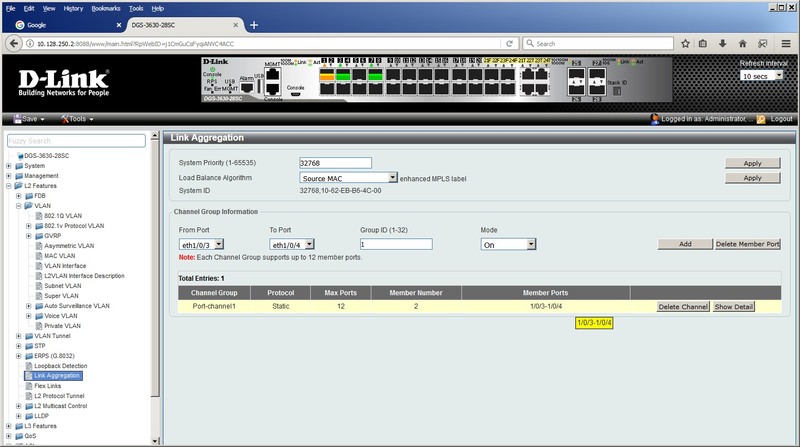 Set Link Aggregation with Static mode on port 3-4 then VLAN be change to 1 and noway to config/correct. The L3 switch, DGS-3630-28SC and DXS-3000-32S was the same. What I do wrong or miss something, please suggest. 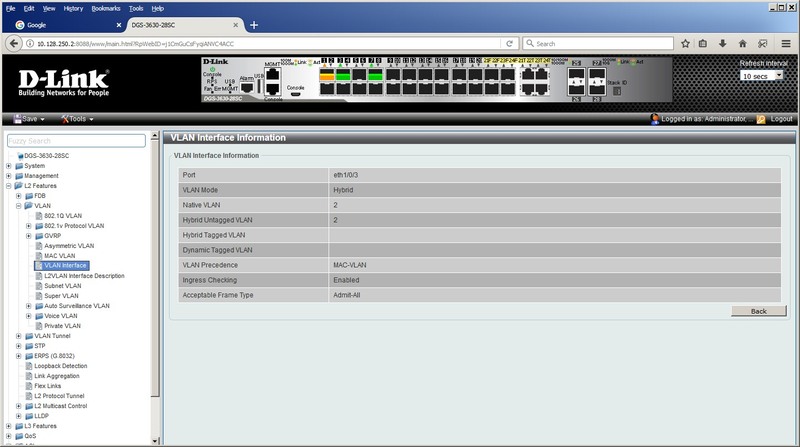 VLAN 2 had been assigned to Port 3-4. Link Aggrregatin to Port 3-4 with static mode. Show detail of Link Aggrregatin. 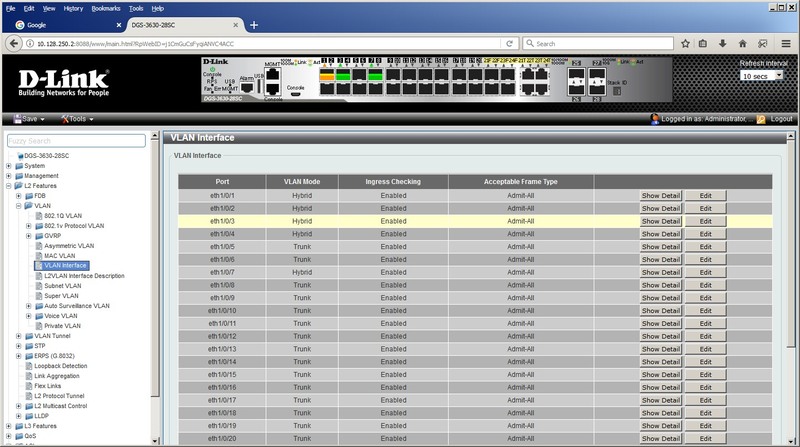 Back to VLAN list, Port 3-4 had been changed to VLAN 1. Show VLAN interface detail port 3. At "VLAN interface list" scroll down to the bottom. 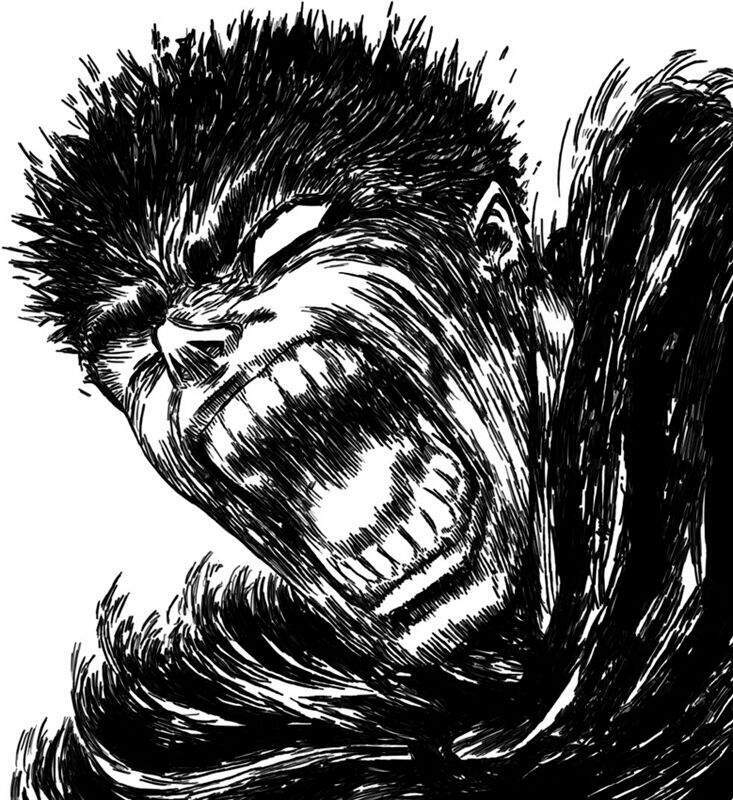 Back to VLAN list, Port 3-4 was corrected. 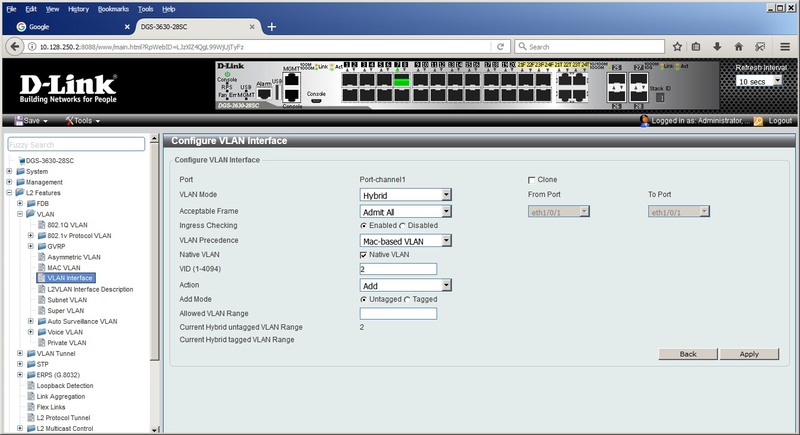 Re: set Link Aggregation with Static mode VLAN be change to 1 and noway to config. Once the port interface is part of a LAG group, any settings on their are ignored. 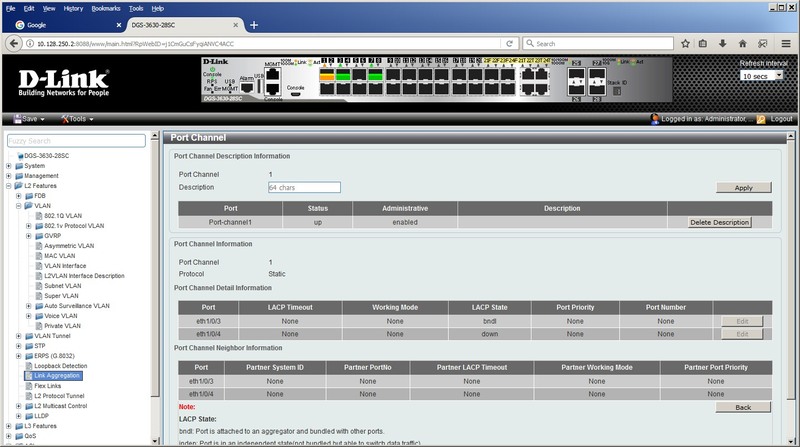 Go to VLAN Interface page and find "Port-Channel1" at the end of the list. 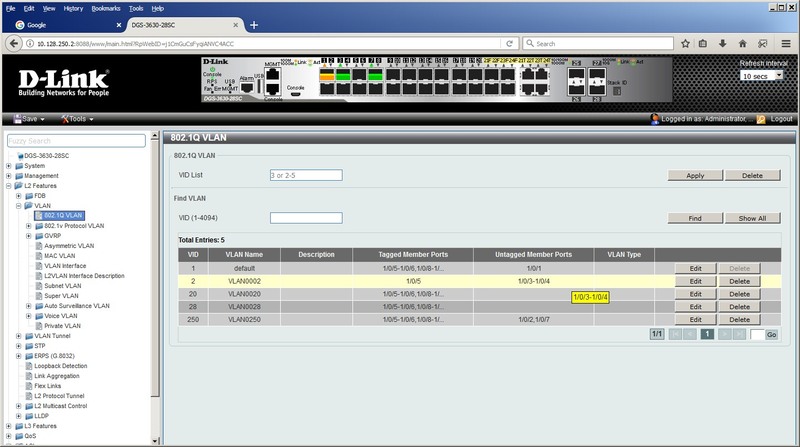 Then edit to modify the VLAN settings.